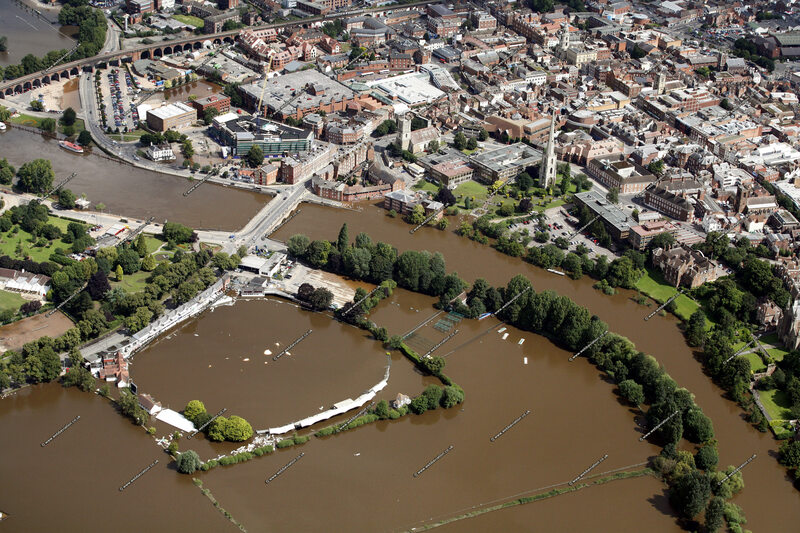 On the morning of 25th July 2007 just after the water peaked I flew along the River Severn to document the flooding. 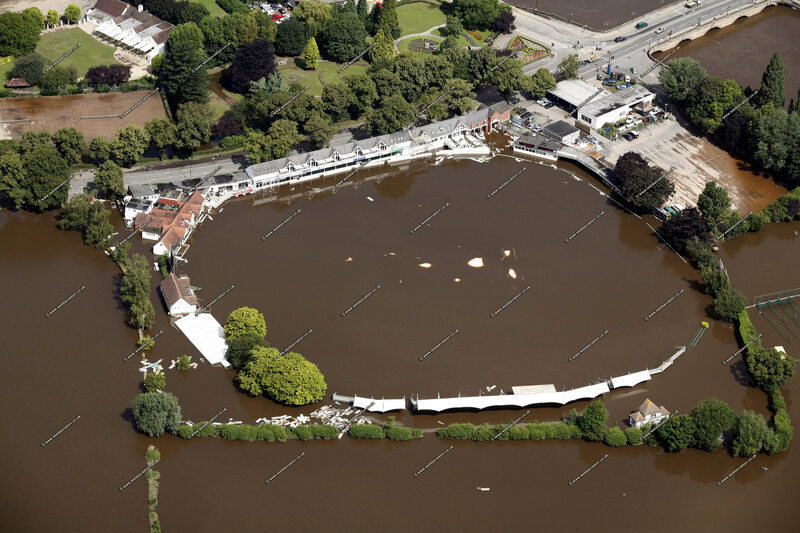 I started at Bewdley with images of the new flood defenses which proved very successful and then followed the River to its end photographing all the flooding I saw. Following some work in Bristol and a quick stop at Filton I flew back via Evesham and Stratford, although by the afternoon the Avon floods had subsided since the morning. Here are just some of the images I took, if you want to buy an image of a flooded location on the Severn not in the gallery email me the postcode and or map reference and I can search the image database.There are 658 images in the gallery although I took more than two and a half thousand images on the whole flight. The gallery starts with a few highlights on this page then the bulk of the images are shown in the order taken- Bewdley, Stourport, Worcester, Upton, Tewkesbury , Gloucester , Evesham and Stratford.The images were taken on professional camera equipment and are reduced for the web. There are two bigger samples to show the resolution - sample 1 , sample 2 .